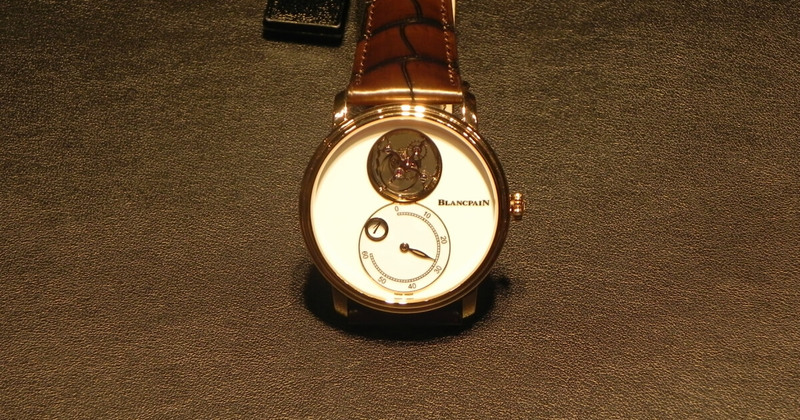 To start the presentation I will say: Blancpain, only mechanical watches. This was the motto back in the 80s of Blancpain. 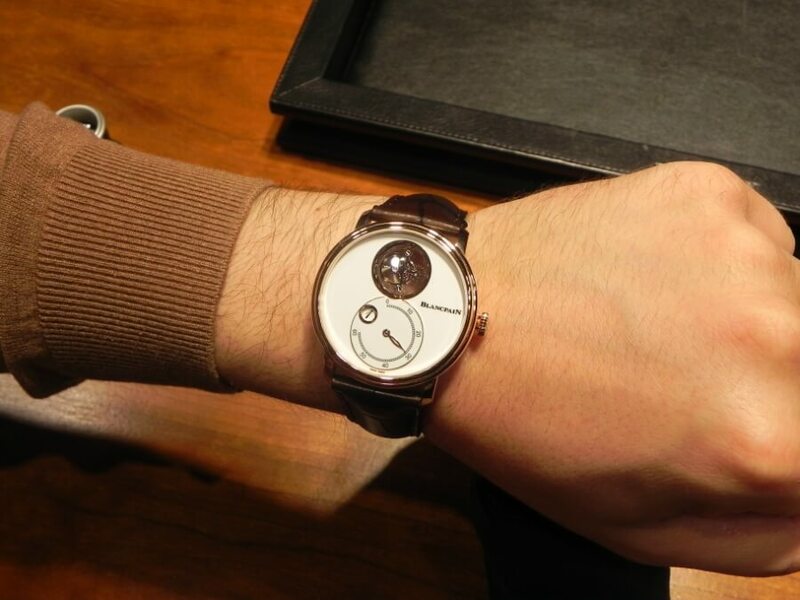 This year at Baselworld 2018, Blancpain is pairing it with new complications – jump hours and retrograde minutes – in the Villeret Tourbillon Volant Heure Sautante Minute Rétrograde model. 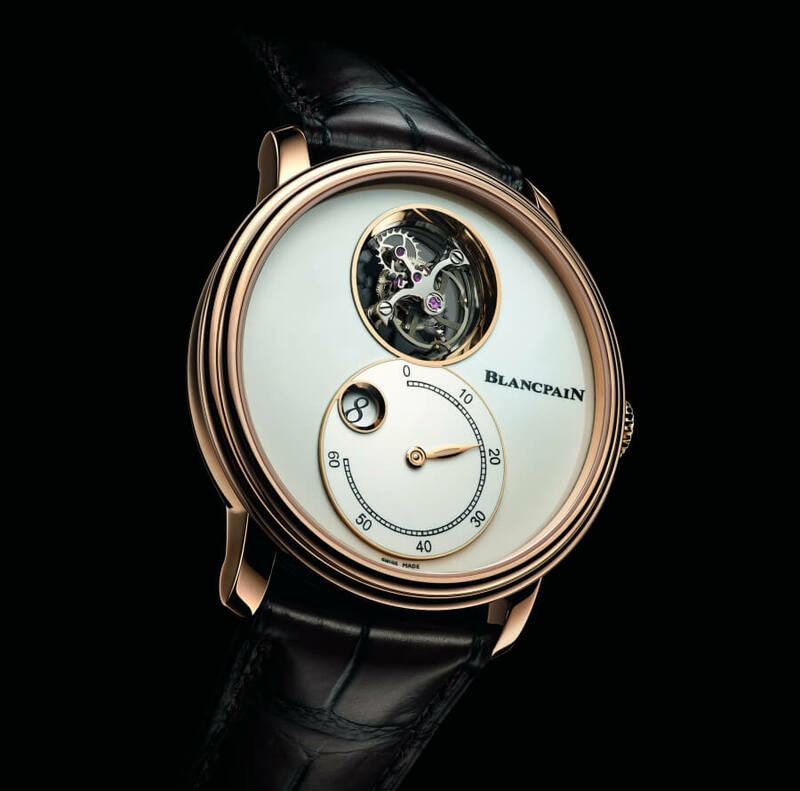 In addition to the remarkable construction of the tourbillon, which appears to be floating on air, this new launch is distinguished by an entirely decorated movement and a grand feu enamel dial handcrafted in the Blancpain workshops. 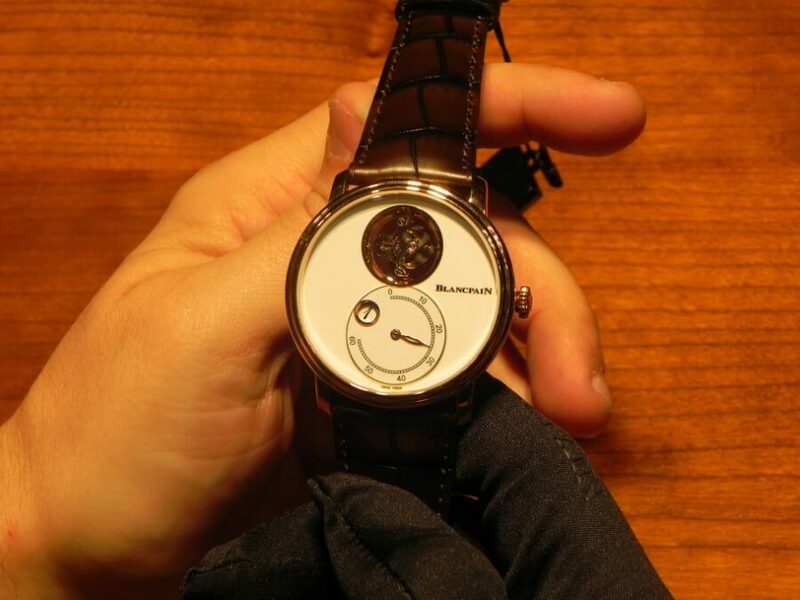 The Blancpain ying tourbillon, produced in-house as are all Blancpain movements, has been an integral part of the traditional watchmaking scene for nearly three decades. This construction offers an unsurpassed view of the tourbillon’s key components, unobstructed by the upper bridge featured in conventional tourbillon designs. The new Villeret Tourbillon Volant Heure Sautante Minute Rétrograde takes this concept one step further, as the lower bridge has been removed and replaced by a clear sapphire disk. The tourbillon cage, its balance wheel and its escapement seem to be floating in space above the tourbillon’s fixed wheel attached to the clear disk. Neither the jump hour nor retrograde minute complications have appeared in Blancpain wristwatches, thus this new timepiece marks their debut within Blancpain’s collections. These hours and minutes displays are grouped together, with the hours window placed on the retrograde minutes counter. 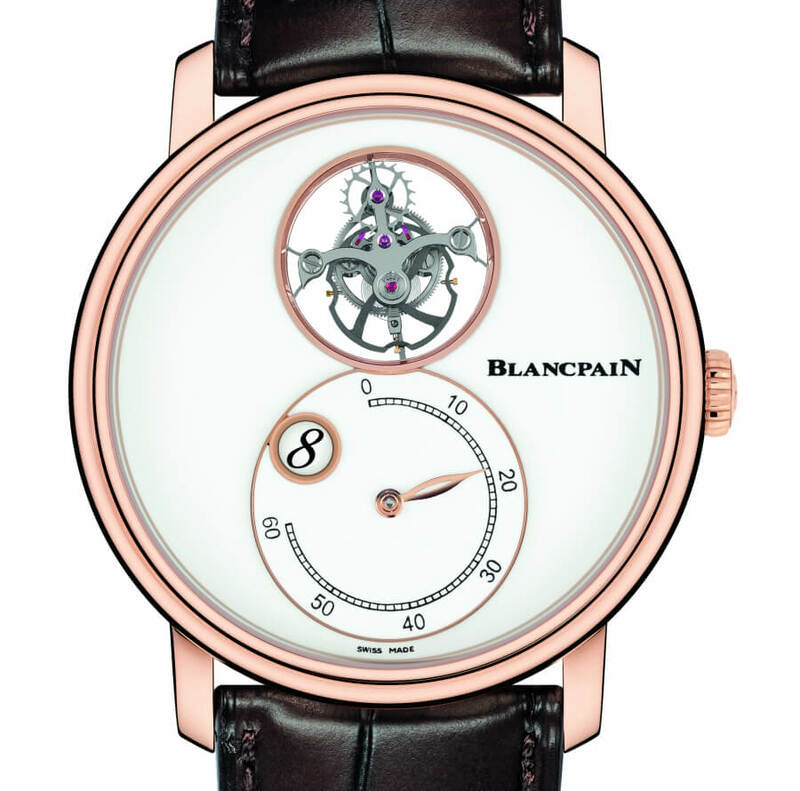 In the Blancpain Le Brassus Métiers d’Art studio, the Manufacture has devoted its technical expertise to the cause of aesthetics in creating a classic grand feu enamel dial using the traditional champlevé technique. The artisans begin by hollowing out the solid gold base of the dial to create small compartments. Thereafter, several layers of enamel are each hand painted onto the dial and fired at a temperature of around 800 degrees Celsius. Adding diamond-polished gold rings around the hours window as well as the tourbillon porthole lends a further sophisticated touch, before the minutes counter is applied to the dial, creating an intriguing depth effect. This concern for detail is also reflected in the movement, of which the bridges are adorned with a hand-guilloché pattern. Through the transparent sapphire case back, the wearer can also admire the ratchet-wheel featuring Blancpain’s famous beveled wheel-rim design, as well as consulting the power reserve indicated by a guilloché disk. The new Villeret Tourbillon Volant Heure Sautante Minute Rétrograde is housed in a double stepped 42 mm red gold case. It is teamed with an alligator strap or metal bracelet, both secured by a folding clasp. A 20-piece platinum limited-edition version is also available. The price for the Blancpain Villeret Tourbillon Volant Heure Sautante Minute Rétrograde is CHF 139,000 for the red gold version and CHF 169,000 for the platinum version. The platinum version will be limited edition up to 20 pieces.